Audio quality, comfort and functionality are all-important factors when selecting the right Monster headphones for you. Numerous lifestyle factors determine the type of listening experience we prioritise. Perhaps you’re an audiophile who demands a rich, immersive listening experience that brings the music you love closer than ever, or maybe you want a pair of tough, comfortable headphones that you can wear while working out without feeling any distractions or physical restrictions. Our collection of Monster headphones encompasses a broad spectrum of sonic profiles, so you can select a pair that’ll match your unique demands perfectly. But, while lifestyle tailored performance is key, Monster knows that one lifestyle requirement shouldn’t come at the expense of another. 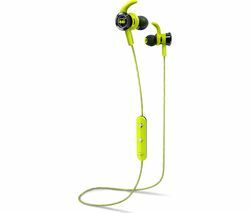 If you need a sport-focused set of headphones that delivers rugged on-the-go performance that doesn’t mean you don’t also want beautifully nuanced audio performance. 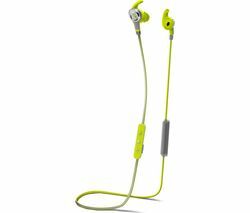 Models like the Monster iSport Freedom wireless headphones are ingeniously designed to cater to more than one aspect of your life. While these stunning on-ear headphones are the very definition of sporty, thanks to their sturdy, sweat proof, water-resistant and washable build, these Monster headphones also deliver crystal-clear, dynamic sound quality, complete with two listening modes to fine-tune your experience. Expand your search for the perfect listening experience and check out our full range of headphones, including the latest JVC headphones and AKG headphones.